OrderPaperToday- The Federal High Court in Abuja has declined an order to issue a warrant of arrest against the Deputy Senate President, Senator Ike Ekweremadu, due to his absence in court. 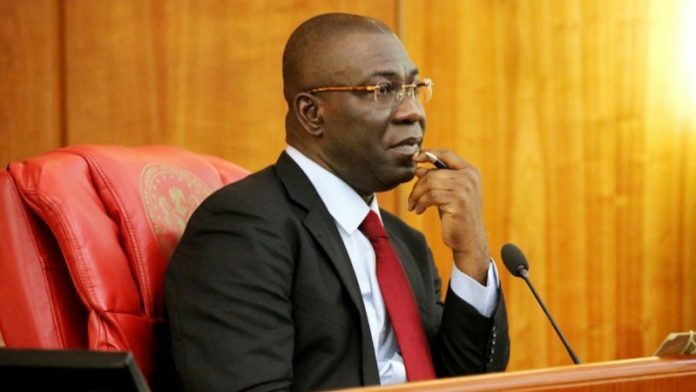 Ekweremadu was billed to appear and defend his refusal to declare his assets, a case raised by the Special Presidential Investigative Panel for the Recovery of Public Assets on the 11th of May this year. Unfortunately, he failed to appear in court and this led the counsel to the Special Presidential Investigative Panel for the Recovery of Public Assets, Celsius Ukpong, to request for an arrest warrant in order to force the defendant’s appearance. Chief Solomon Adegboyega Awomolo (SAN), counsel to Ekweremadu countered Mr. Ukpong’s request and submitted a copy of the judgment from an application filed on the 1st of November, challenging the jurisdiction of the court to hear the charge. In her judgement, Justice Nyako maintained that it was not necessary to issue a bench warrant for the case. She then fixed February 26, 2019 to hear the objection filed by Ekweremadu against the Court’s jurisdiction and the competence of the charge against him. It is worthy to note that the charges against Ekweremadu are based on a two-count charge bordering on the alleged refusal to declare his assets. However, the trial did not commence immediately because the prosecuting panel could not serve the defendant, personally, as required by law. Previous articleThe 2019 Nigerian general elections: what’s at stake for the working poor?